The last quarter of 2015 reveals a shocking truth! For the background story, take a look at my plan for 2015. So, how did I do wrapping up 2015? 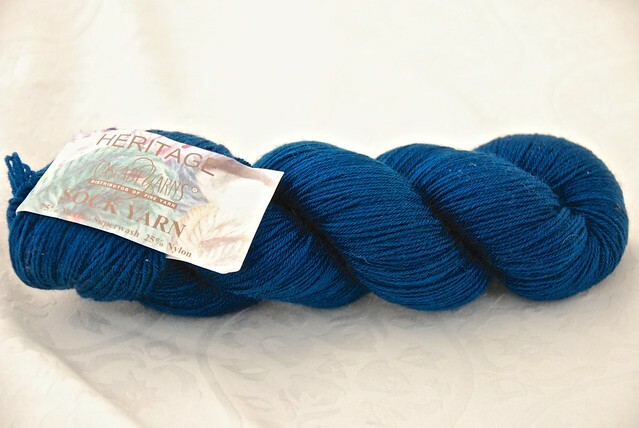 I received the final shipments of the 2015 yarn club DH gifted me for Christmas – a skein of Blue Moon Fiber Arts Socks that Rock Lightweight. At the beginning of October, my unspent allowance was 21.5 balls of sock yarn and -2567 yards of any yarn. I used 0 skeins of sock yarn and 8002 yards of other yarn and added 3 skein of sock yarn. 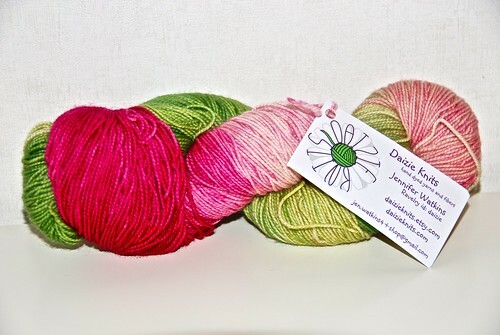 This puts my Q4 numbers at -3 balls of sock yarn and 2667 yards of any yarn. My accumulated unspent allowance by the end of December is 18.5 balls of sock yarn and 100 yards of any yarn. THE NUMBERS ARE NO LONGER RED!!! The third quarter of 2015 took a big bite of the stash! So, how did I do for the third quarter of 2015? 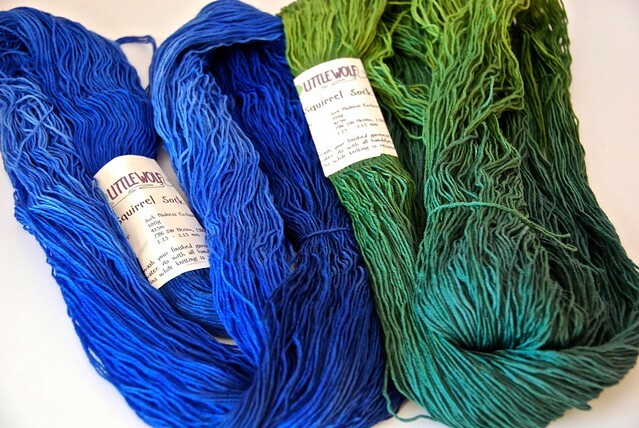 I bought two skeins of Garnstudio DROPS Lace (1750 yards) for a shawl that got cast on as soon as the yarn arrived. 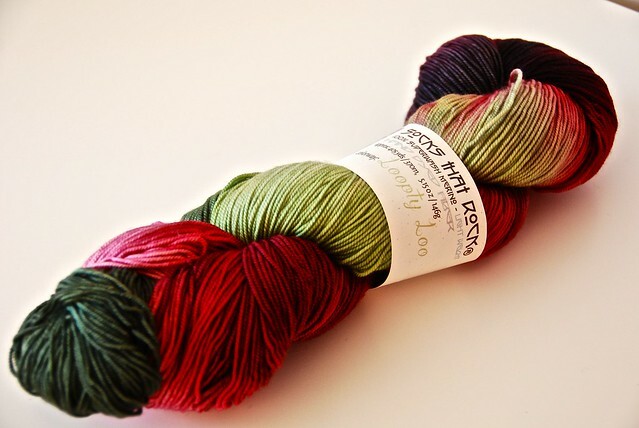 I bought one skein of Leading Men Fiber Arts Soliloquy (sock yarn) on their annual sale. 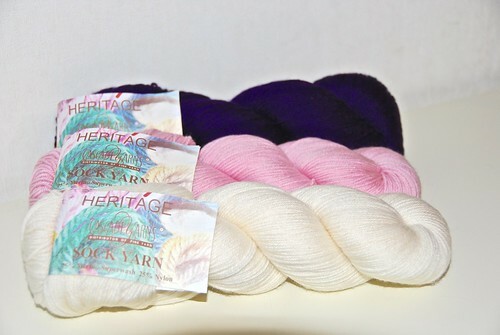 I won a podcast contest and have been gifted a skein of sock yarn as prize. 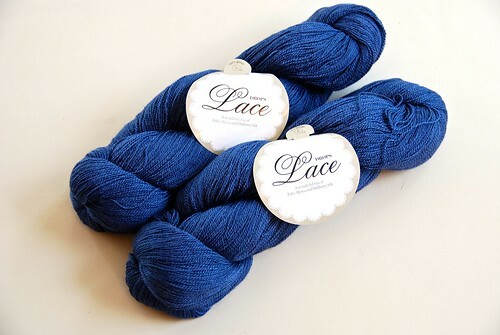 I received July and September shipments of the 2015 yarn club DH gifted me for Christmas – two skeins of Blue Moon Fiber Arts Socks that Rock Lightweight. At the beginning of July, my unspent allowance was 21.5 balls of sock yarn and -4110 yards of any yarn. I used 1 skeins of sock yarn and 11078 (!!!) yards of other yarn and added 1 skein of sock yarn plus 2150 yards of other yarn. This puts my Q3 numbers at 0 balls of sock yarn and 1543 yards of any yarn. 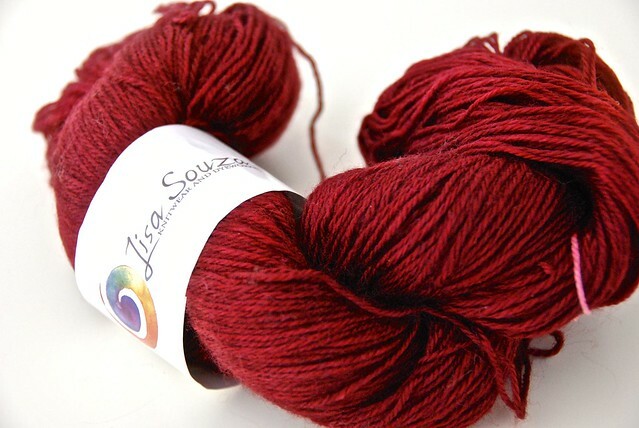 My accumulated unspent allowance by the end of September is 21.5 balls of sock yarn and -2567 yards of any yarn. We have reached the half-way mark of 2015, and the stash is still shrinking. So, how did I do for the second quarter of 2015? 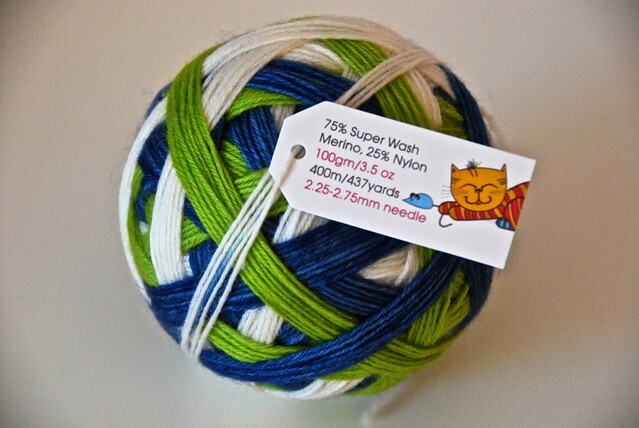 I bought one ball of Stray Cat Socks Self Striping Yarn from Etsy. 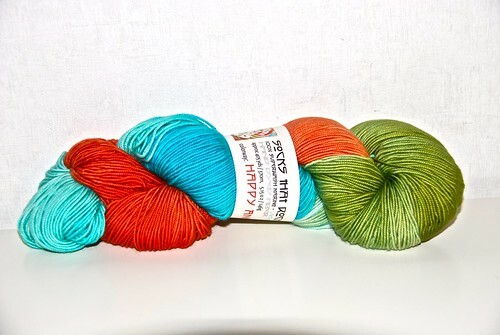 I bought three skeins of Cascade Heritage sock yarn for Tour de Sock. 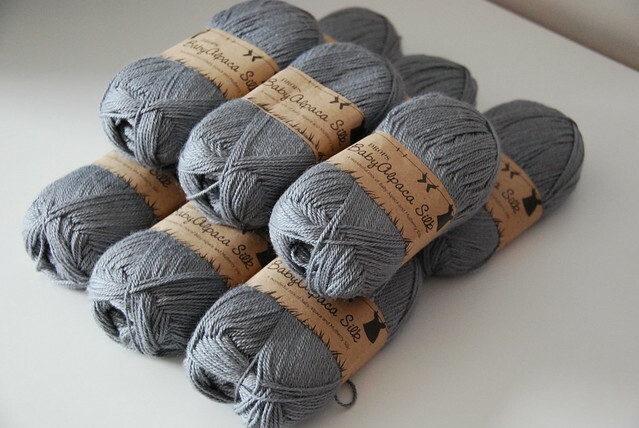 I bought nine 50g balls (1647 yards)f Garnstudio DROPS Baby Alpaca Silk to knit dresses for the girls. Both dresses are bond off and awaiting buttons. 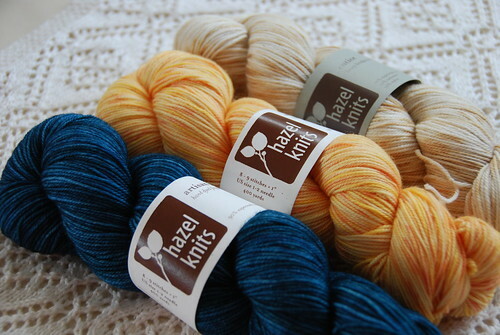 I won second place in Sock Madness 9 and have been gifted four skeins of sock yarn as prizes. 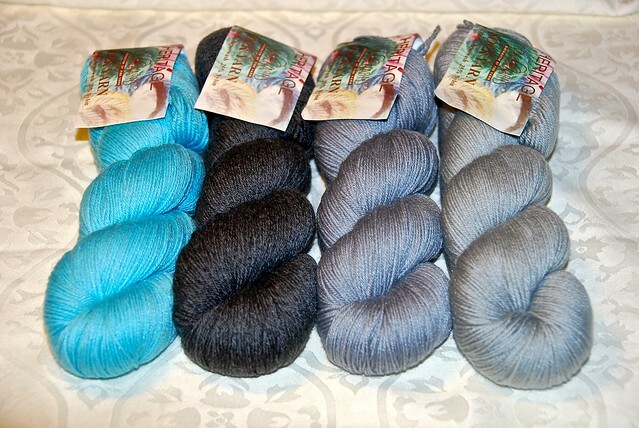 I received the April and June shipments of the 2015 yarn club DH gifted me for Christmas – two skeins of Blue Moon Fiber Arts Socks that Rock Lightweight. 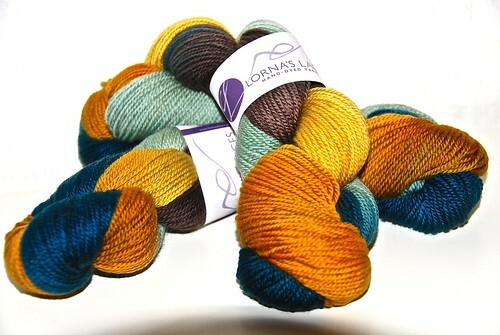 At the beginning of April, my unspent allowance was 18.5 balls of sock yarn and -3786 yards of any yarn. I used 7 skeins of sock yarn and 3968 yards of other yarn and added 4 skeins of sock yarn plus 1647 yards of other yarn. 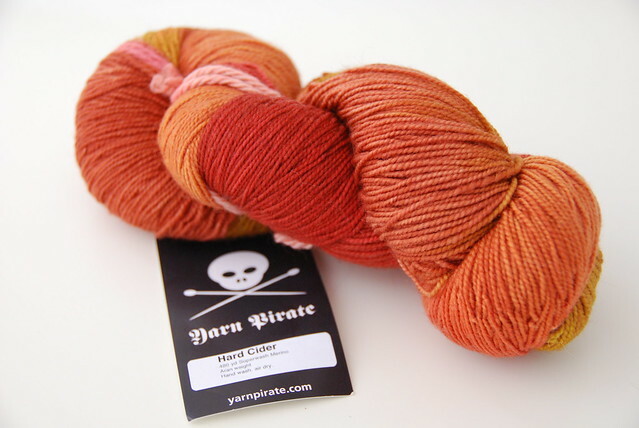 This puts my Q2 numbers at 3 balls of sock yarn and -324 yards of any yarn. My accumulated unspent allowance by the end of June is 21.5 balls of sock yarn and -4110 yards of any yarn. The stash-down quest dives into its third year focusing on stash curation. So, how did I do for the first quarter of 2015? 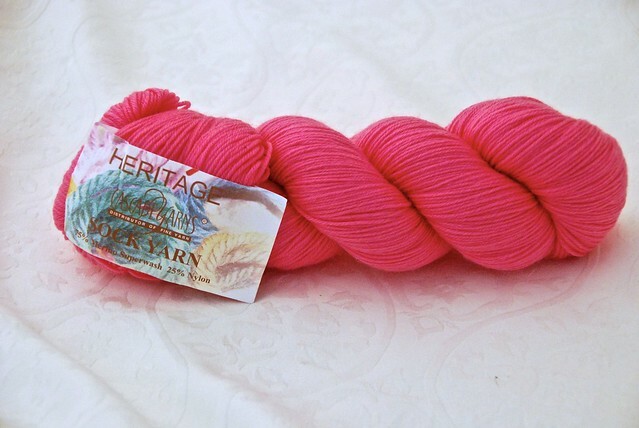 I bought six skeins of Cascade Heritage sock yarn for specific patterns. Already used five of them. 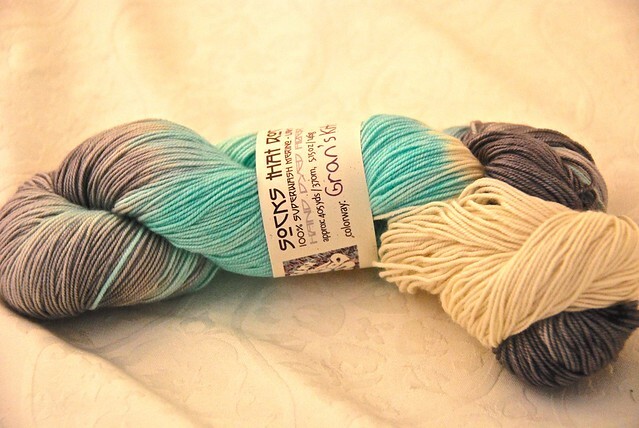 I won a skein of sock yarn as grand prize in the HPKCHC Ravenclaw mini sock sprint Winter term 2015. Donated by bacs. 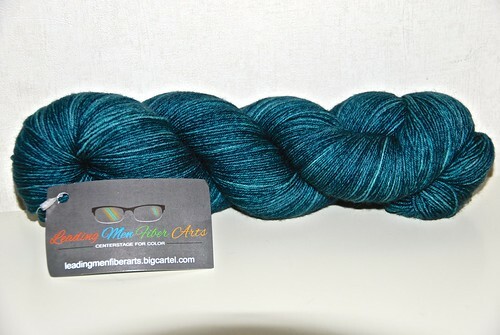 I received the first shipment of the 2015 yarn club DH gifted me for Christmas – a skein of Blue Moon Fiber Arts Socks that Rock Mediumweight. At the beginning of the year, my unspent allowance was 16.5 balls of sock yarn and -4472 yards of any yarn. I used 8 skeins of sock yarn and 2059 yards of other yarn and added 6 skeins of sock yarn. This puts my Q1 numbers at 2 balls of sock yarn and 686 yards of any yarn. 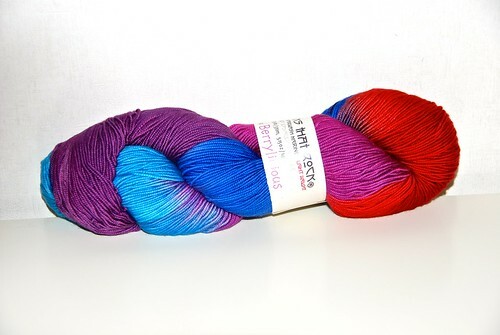 My accumulated unspent allowance by the end of March is 18.5 balls of sock yarn and -3786 yards of any yarn. We are almost half-way through 2015, and it is time for the grand plan to get digitalized from its pen&paper draft. If you are interested in the back story or the original rules and goals, you may take a detour to the January 2013 and January 2014 posts. 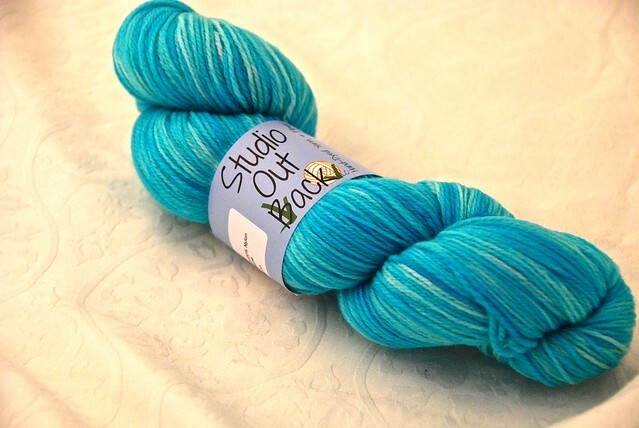 My long term objective (beyond the obvious overall stash reduction) is that the majority of my stash is sock yarn, simply because that is what resonates with my crafting. The stash-down quest has been on hiatus in terms of accountability reporting. However, my fall 2014 crafting was heavily influenced by the quest goals. For the background story, take a look at my plan for 2014. So, how did I do for the end of 2014? 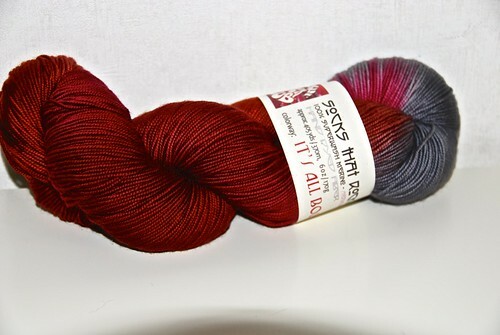 I gifted 1 100g skein of sock yarn and 6 balls of Dale Falk, 1161 yards total. At the beginning of the month, my unspent allowance was 14.5 balls of sock yarn and -5960 yards of any yarn. I used 2 skeins of sock yarn and 7438 yards of other yarn. This brings my numbers up to 2 balls of sock yarn and 1488 yards of any yarn. 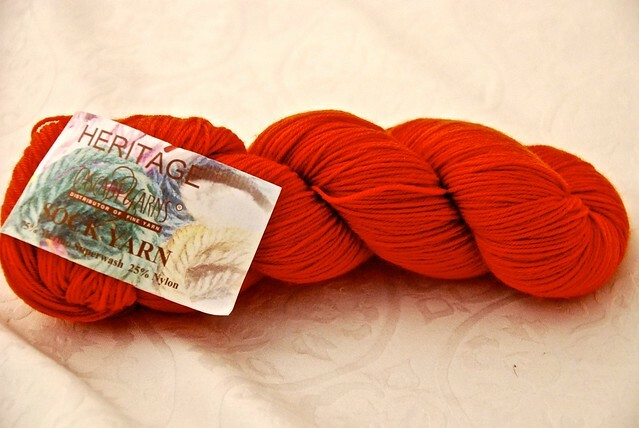 My accumulated unspent allowance by the end of the year is 16.5 balls of sock yarn and -4472 yards of any yarn.